Good morning! Welcome to The Morning Shift, your roundup of the auto news you crave, all in one place every weekday morning. Here are some stories that we’ve received literally millions of emails about in the past nine seconds. For the past five years or so, Volvo has been quietly turning Polestar into its performance division, much like Mercedes’ AMG or BMW’s M. It didn’t make cars in as quite a high volume as the Germans, but they were weird and bright blue and had strange manually adjustable extra-stiff suspension that made them very fast and rare and all sorts of delightful. And as far as we were aware, the plan for Polestar was more of that good stuff, with quick versions of cars like the big new S90 planned as well, possibly as hybrids. And that “high-performance electric car brand” idea all sort of makes sense, what with Tesla being a thing that exists, and Porsche pushing for all-electric models as well. 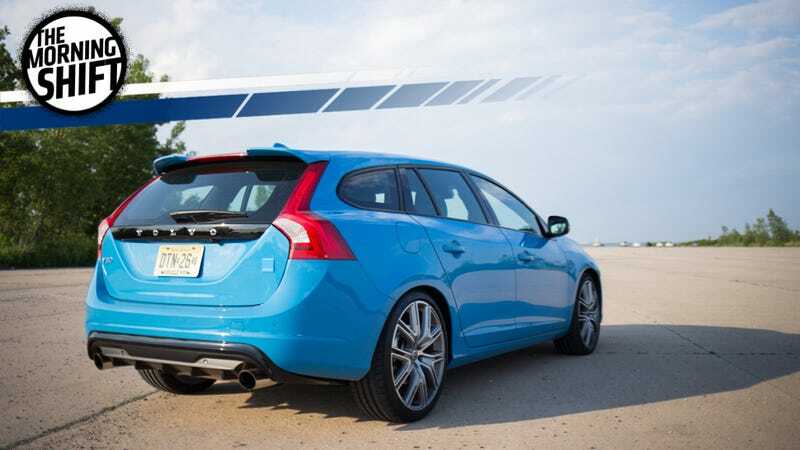 But I’m kinda weirded out by Volvo’s petroleum-powered cars only receiving Polestar “optimization packages.” I’m cautiously hopeful about this one, as maybe Volvo’s speedy blue oddballs won’t go away, reduced to mere appearance packages. We’ve reached out to Volvo for clarification, and will update when we hear back. Honda Motor Co (7267.T) said on Wednesday it halted production at a domestic vehicle plant for a day this week after finding the WannaCry ransomware that struck globally last month in its computer network. Production’s back up and running, but it’s probably for the best if we just air-gapped everything from now on. Down with the internet, bring back pigeons. 3rd Gear: Jaguar Land Rover Will Not Be Going It Alone, Maybe? We’ll see. Unless you’re an investment banker this will almost certainly not affect you in any way whatsoever. One can only hope this means that self-driving cars will now come festooned with big circles, like old rally cars on a nighttime special stage. General Motors Co. is testing a safety feature in Macomb County to warn drivers that traffic signals are about to turn red. Maybe I’m just lame, but a lot of this sounds unnecessary. A warning that a light is about to turn red? That’s a yellow signal, my friend. A notification that tells you a person is a person and not a traffic barrel? Most of the time barrels do not have arms and legs. Also, you should try to avoid hitting either one. Just a good safety tip!!!!!!!!!!!!! But that thing that tells you which lane is terrible is kinda neat, I guess. Neutral: What Would Be Actually Good Connected-Car Tech? Instead of superfluous stuff, I mean.